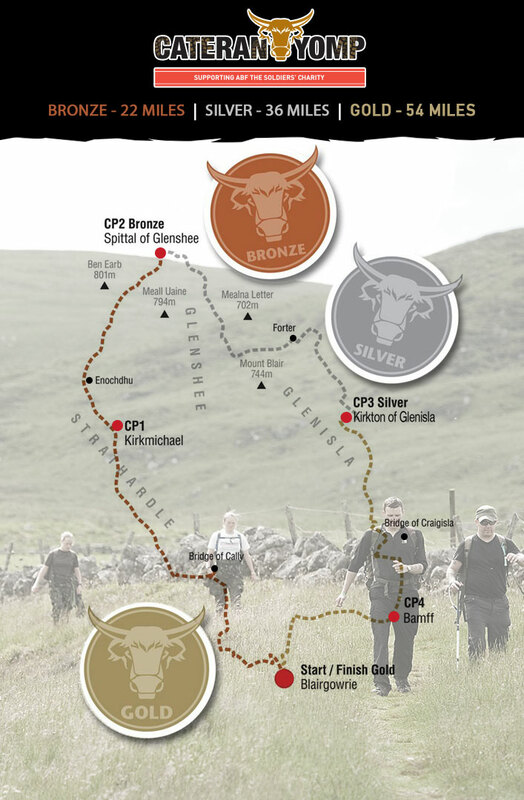 The Cateran Yomp (a military term for a long-distance march) is the biggest, toughest event of its kind. Taking place on the 8/9 June in the foothills of the Cairngorm Mountains in Scotland, teams of 3-6 people battle through 54 miles (gold) in 24 hours across the rugged terrain of the Scottish wilderness. You can also sign up for the silver or bronze distances (36 and 22 miles respectively). Sign up with friends, family, and colleagues to experience an unforgettable weekend whilst raising money for soldiers, veterans, and their families. Whichever distance you choose, you will get to test both your physical and mental limits whilst trekking through some truly breathtaking scenery. Don’t worry if you don’t have a team, any individuals or pairs will be grouped together with individuals of similar abilities. Check out our facebook page to meet and connect with our brilliant Yompers. Sign up now for£99pp (£80pp with military/veteran discount). This includes all your food and drinks over the weekend, access to the campsite, goody bag, technical t-shirt, well-deserved medal and much more! The fundraising target is £400pp and you will be amazed at peoples generosity. As you register, your very own Yomp fundraising page will be created which you can use and share. For the first time this year we are launching a self funding option. For £450pp you can register without any fundraising obligation. A page will still be created for you – any money you raise will be gratefully received and enable us to continue to be there for soldiers, veterans and their families. Check out the pictures from The Cateran Yomp 2018. Take on the best. Take on the Yomp! 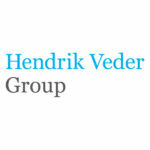 Interested in entering as part of a corporate or company team? Do you have 15 people or more interested in entering a team from your company? If so, take a look at some of the packages we have available for larger teams. Please download our Team Package Brochure for more details or us on yomp@soldierscharity.org or call 020 7811 3201. The Yomp exists to raise vital funds to support soldiers, veterans and their families. As such we ask each yomper to commit to raising £400 in sponsorship. Help us ensure a lifetime of support to those who have given so much. Located just an hour and half north of Edinburgh and Glasgow, the route takes you through some of the most remote and hidden areas of Scotland. With 8 waterstops and 4 main checkpoints littered across the route, you are never further than a few miles from your next slice of chocolate cake. The trail will be fully marked out and signposted along the way. We’ll also send you a map pack before the event which breaks the route down into sections, giving a description, key co-ordinates and also shows the route on an OS map. The Yomp takes place right in the heart of the Perthshire hills. This is only around a 90 minute drive from Edinburgh or Glasgow, but given the beautiful, unspoilt and peaceful setting, you will feel that you have travelled much further! The Yomp route stretches from the high mountains of the Cairngorms National Park to the rolling farmland and berry fields of historic Strathmore, and from the salmon rich waters of the River Tay to the footpaths and riding tracks of the Angus Glens. We’re close to the main North-South artery road routes of the A9 to Inverness and the A90 to Aberdeen, and the spectacular A93, Deeside National Tourist Route, runs through our area to the dramatic mountain scenery of Glenshee and onto Royal Deeside. 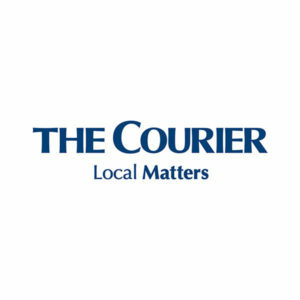 There are busy mainline stations at nearby Perth, Pitlochry and Dundee and fast, regular bus services throughout the area radiate out of Perth and Dundee. As part of your registration fee you are able to camp at the Event Hub on the Friday night, at which we provide hot showers and plenty of toilet facilities. The camping area is less than 100 metres from the start / finish line and so is perfectly placed for a little lie down after you complete the challenge. There are also a number of hotels, B&B’s and self catering cottages nearby – visit the local website VisitEastPerthshire for everything you need to know. 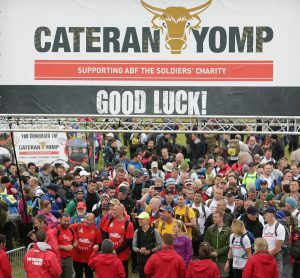 Taking on the Yomp is going to be a huge challenge. Most people who sign up for the event have never walked further than 10 miles without a stop for a butty and a good night’s sleep and so preparation will be key to you enjoying and completing your route. We suggest that you start training at least 3 months before the event, and that you speak to your doctor before you start if you have any concerns about your health or your ability to complete this challenge. We’ve worked with personal trainer Yolander Gratton to develop a 12 week training plan which we’ll send out in the build up to the event. We’ve got training plans for all levels and distances so you can work within your ability and towards your own target. When you complete your registration for the Yomp you are automatically created a online fundraising page. We will also send you your fundraising pack in the post, which is full of top tips, sponsorship forms and much more. We are here to support you every step of the way. We have got lots of resources to get you started, including extra sponsorship forms, information on Gift Aid. We can also post you resources such as sponsorship forms, collection tins, and posters and balloons for your fundraising events. If you need anything simply email yomp@soldierscharity.org or call us on 020 7811 3223. Fundraising for The Yomp can make a huge difference to the lives of soldiers and their families and be hugely rewarding. We will be here to support you along the way. Raise £400 by 1st May and receive an exclusive Cateran Yomp buff. These will be sent out before this year’s Yomp and so you can wear it proudly in your final training walks and of course during the Yomp itself. Raise £500 and you will receive a brilliant aluminium Cateran Yomp water bottle. 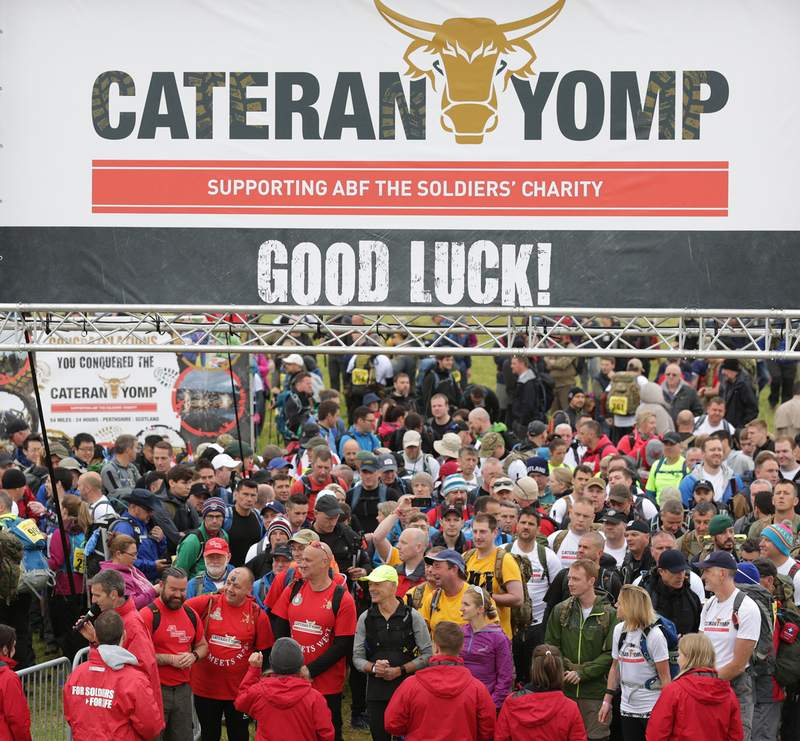 Everyone who raises £800 will receive an exclusive Cateran Yomp kit bag – you can’t buy these anywhere else and they are great for carrying all of your kit. In addition to receiving the kit bag, the first 20 yompers to raise £800 will secure a VIP start and will get the chance to lead out the Cateran Yomp, as well as receiving a Yomp hoody – one of only 20 made each year. Check out our fundraising leaderboard and see who’s smashed their sponsorship target and earned their stripes! Support teams are a vital part of the event and Yompers could not complete the challenge without their help – it is a hugely important role and we want them to feel part of the event.Up to two support team crew will receive breakfast on the Saturday morning and dinner at checkpoint 3 – Kirkton of Glen Isla (Silver finish) – on Saturday evening. Support crews are welcome to join the Friday night feast. Tickets are £10 per person and can be purchased by participants when they register. Additional tickets can be purchased in advance by calling Yomp HQ on 020 7811 3223. What are the support team’s key roles on the day? Without the support of our volunteers this event simply couldn’t happen. Volunteers help us with all aspects of the event, from marketing it, to registering participants on the day, manning checkpoints and provided much-needed support to our walkers. If you are interested in volunteering at the Yomp either complete the form below or call us on 020 7811 3223. 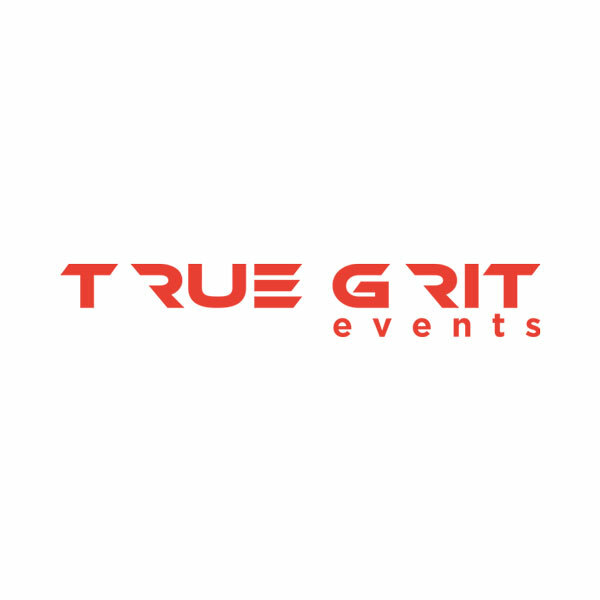 We are lucky enough to have a number of dedicated partners and sponsors, without which, the event could not happen. 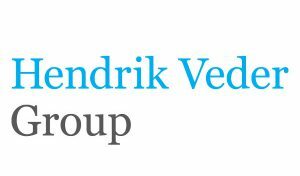 Previous Sponsors have included: Artemis, Bircham, Blackrock, Bright Solid, Dyson Bell, EMC, Finsbury, GBST, HSBC, PWC, Sainsbury’s, Seric, Shepherd and Wedderburn, SLI365 and Thomson Reuters. Alternatively, download our sponsorship information pack. Please download our corporate teams information pack for more details or contact Katy Wildman on kwildman@soldierscharity.org or call 020 7811 3201. Below are answers to some frequently asked questions. If your question is not answered below then please do not hesitate to contact us. 8/9th June 2019. Registration opens from 3pm on Friday 7th June followed by the Friday Feast and two safety briefings at 19:00 and 21:00, you must register in person and attend one of the safety briefings. On Friday you will collect your participant number, receive a full safety briefing, enjoy the pasta party (very important carb loading!) and have the chance to meet fellow Yompers before your challenge starts the following morning. How much does it cost to take part in the Cateran Yomp? £60 military and £80 for individuals before 28th February 2019. The registration fee is non-refundable. In the heart of Perthshire starting and ending in Blairgowrie. The main event hub is located in Bogles Field, Essendy Road, Blairgowrie, Perthshire, Scotland, PH10 6QU (grid reference NO168439). Access to the campsite will be available from 14:00 on Friday 7th June until 13:00 on Sunday 9th June. Toilet facilities will be available throughout; hot showers will be available from 18:00 on Friday 7th June until 12:00 on Sunday 9th June. Why do I need a support team? Your support team is there to carry any extra kit, a change of clothes, your favourite snacks, meet you at various checkpoints as a friendly face and moral support and to take you home if you need to retire at any point on the route. Every team taking part needs a support team in order to help them complete the challenge. The support team is there to look after and encourage the participants as they complete the Yomp. Does my support team need to pay a registration fee? No, they do not need to pay anything and we want them to feel part of the event, they are extremely important so up to 2 support team crew will receive food and drink completely free of charge from breakfast on the Saturday morning to dinner at checkpoint 3 – Kirkton of Glenisla on Saturday evening. They are also welcome to the evening feast/full Scottish breakfast back at the start/finish line when the team has completed the Yomp. If you have more than 2 support crew they can buy further tickets for your friends and family for just £5 per meal. Your registration fee includes delicious food and drink across the weekend from breakfast on the Saturday morning, throughout the route and finishing up with a full Scottish breakfast on the Sunday morning. In seven years, we have not increased our registration fee but there will now be a small charge of £10/person for the Friday Feast, for just £10 you can have unlimited pasta, salad, garlic bread and soft drinks – the perfect carb loading before your big challenge! You can purchase as many passes as you like during the registration process. Your registration fee also includes camping over the weekend with toilets and hot showers, support from Yomp HQ in the build up, full training plans, activities around the route, goody bags, t-shirts and that well deserved medal at the end! Can I take part on my own? The Yomp is a team event so people must walk in teams of 3-6 however you can register as an individual and a month before the event Yomp HQ will get in touch and match you up with similar abilities and completion times. Why do I need to take part in a team? This is for safety reasons; it is a 24hr event so we cannot have people walking on their own in remote Scotland in the dark and in an area where the weather can change very quickly. You will need a minimum team size of 3 at all times. Can my company enter a team? Yes, and we have two different package options available for company teams. More details of these can be found in the downloadable corporate teams information pack or by contacting Katy Wildman on kwildman@soldierscharity.org or call 020 7811 3201. The minimum age is 16 for completing the bronze distance and 18 for the silver or gold distance. There is no upper age limit, as long as you are fit and able we would love to have you! The 54 mile circular route starts and ends in Blairgowrie. At 54 miles the route will lead you across some of the country’s most scenic landscapes passing through Kirkmichael, Spittal of Glenshee and Kirkton of Glenisla. You will be immersed in the farmlands of Strathardle, the rugged peaks of Glenshee, Lochs Beanie, Auchintaple and Shandra, the fertile farmlands of Glen Isla and finally the fantastic open views over the idyllic pastoral scenes from Alyth. You can take on one of three distances, Bronze – 22miles, Silver – 36 miles or the full 54 miles gold route. The main event hub is located in Blairgowrie, Bogles Field, Essendy Road, Blairgowrie, Perthshire, Scotland, PH10 6QU this is where the campsite is located, registration on the Friday afternoon/evening and parking throughout the weekend. Yes! We will provide you with a personalised 3 month Yomp training guide which you will receive weekly on a Friday in the 3 month lead up to the event weekend. A detailed participant pack will be provided in the lead up to the event which will have details of a full compulsory kit list. What is the fundraising target? We ask that each participant raises a minimum of £400 per person. This money goes towards helping soldiers, veterans and their families. Why do I have to raise money and where does it go? 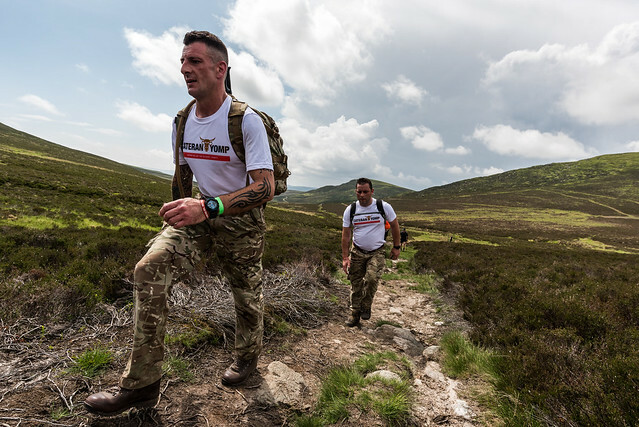 The Yomp is a charity fundraising event for ABF The Soldiers’ Charity, with the money raised going towards helping soldiers, veterans and their families in times of greatest need. Find out more about who we’ve helped on our ‘stories’ section. Can I get help reaching the sponsorship target? Of course, Yomp HQ is always at the end of the phone so please drop us an email yomp@soldierscharity.org or give us a call 020 7811 3223. We can help with ideas, answer your queries and provide you with any fundraising materials you may need – collection tins, t-shirts, wristbands etc. We are here to help you! What happens if I do not reach the minimum sponsorship target? All we can ask is that everyone tries their best to reach their target of £400pp. Most people find that once they start fundraising they not only reach the target but go far beyond as it is such a great challenge to take on and of course we are here to help you along the way with anything you need. You also have up to two months after the event to continue to raise the money once you have completed the challenge. How do I apply for matched funding from my employer? Many companies will match up to 100% of the donations you collect. Each company has a different policy and so please contact your HR or corporate social responsibility teams to find out more. ABF The Soldiers’ Charity policy, like that of many other charities, is that Gift Aid is not included in minimum sponsorship targets. Absolutely – online fundraising is a fantastic way for you to collect sponsorship from your friends, family and colleagues, particularly those you don’t see every day. From your donors’ point of view, it is a quick, easy and secure method of donating. When you register for the event an online fundraising page is automatically created for you. This is your page, add your picture, write some text about what you’re doing and why, set your fundraising target, then send the link out to everyone you have ever met so that they can sponsor you easily and securely. Login here. Can we fundraise jointly as a team? Yes – it can make your fundraising target easier to meet if you fundraise together. You will even have a team fundraising page which is created automatically when you register as a team. Just remember that the sponsorship requirement is £400 per person, so if four of you fundraise together, you need to raise £1600. I’ve collected in my sponsorship money and have some cash and cheques. How can I pay everything in? If you have cash, please bank it and send us a cheque from your account or sponsor yourself on your online fundraising page. When you send money in to us, please ensure that you write your name and ‘Cateran Yomp’ on the back of each cheque, and if you know your team’s name, add that too. This will ensure that money is allocated to your sponsorship total. If after reading through the FAQ’s you still have some queries, please do not hesitate to drop us an email or give us a call – it’s what we are here for.